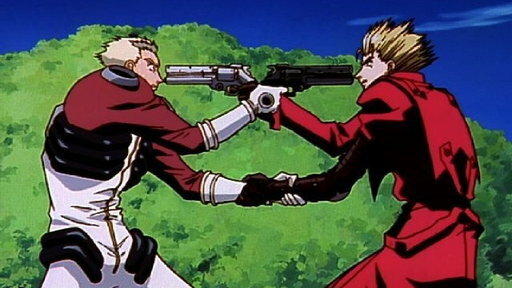 Trigun takes place in the distant future on a deserted planet. 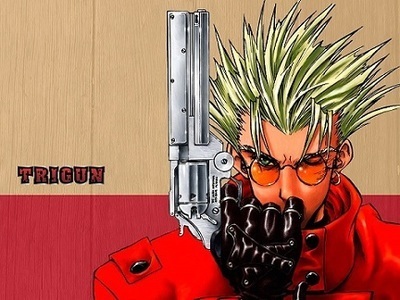 Vash the Stampede is a gunfighter with a legend so ruthless that he has a $$60,000,000,000 bounty on his head. Entire towns evacuate at the rumor of his arrival. 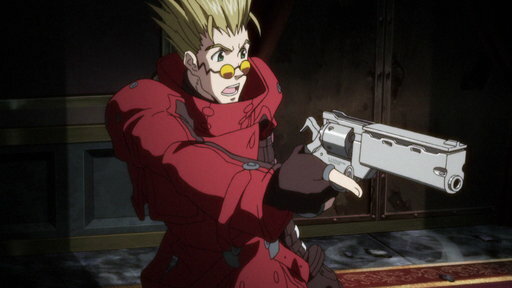 However, the real Vash the Stampede is not the same man that rumor portrays him to be. 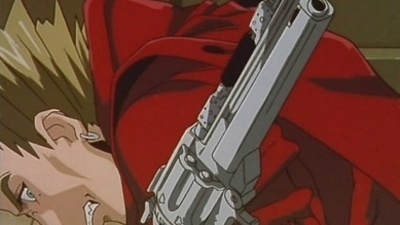 The show had 1 season and 26 episodes air in 2003. 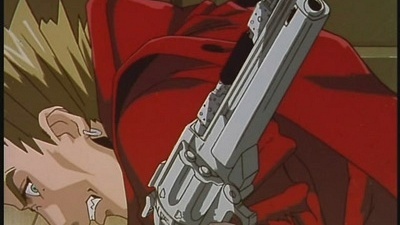 The greatest battle of Vash the Stampede's life arrives as he faces-off against Millions Knives. ▶ Episode 7 - B. D. N.